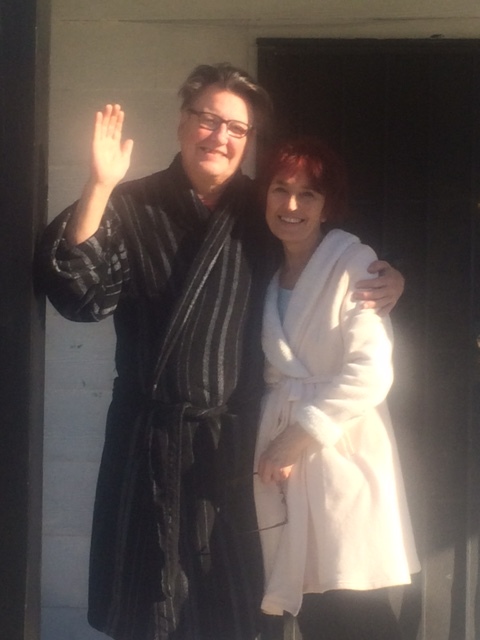 Trip Log – Day 234 – Houston, TX | How Will We Live Tomorrow? What is art? What are our responsibilities to this planet and to each other? Are those two questions connected? This is what percolated through my mind as I navigated this robust, rich, impoverished, generous, selfish, confusing, amiable city. Google map is way ahead of Houston. The city is in the process of connecting the bikeways along the bayous, but Google kept directing me on routes that don’t quite exist. As a result I ran a bit late all day. After a delicious lunch at the Montrose HEB, I visited the Menil Collection. Renzo Piano’s building is superb, the main collection is jaw dropping, the juxtaposition of contemporary and African art is insightful. Beyond Menil’s signature building is a campus of new and reused buildings, all painted the same muted taupe. 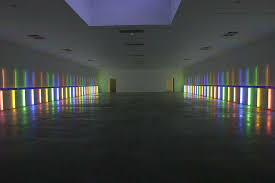 Dan Flavin’s installation in a former grocery store begs the question, is this big space with an array of colored lights, artificially heated and cooled, employing a jovial guard who counts the people who stop by, an appropriate use of a building that once contributed to the community in a more fundamental way? 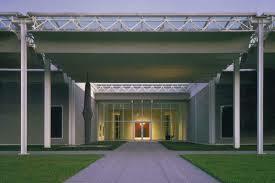 It is less than it was, yet more than it would be if the Menil had not repurposed it. I looked forward to visiting the Rothko Chapel; Rothko is my favorite artist. I wasn’t disappointed so much as being there at the wrong time in the wrong frame of mind. Mid-afternoon, the chapel is over bright, full of school groups and other tourists. There’s nothing contemplative about it beyond meditating on the reality that we humans have become incapable of quiet for even five minutes. 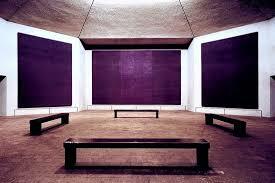 The chapel is one of Rothko’s last works, very somber, very dark. He killed himself not long after its completion. I realized that my connection with Rothko’s early work is stronger. Perhaps our younger selves possessed complementary perspectives. 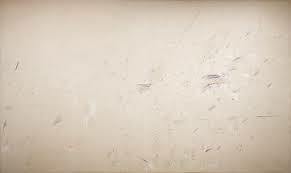 Rothko grew more depressed with age, while I have done the opposite. His late work does not resonate with me. I pedaled away from the Menil with a hollow in my gut. There was something incongruous about the cerebral art scattered among bungalows. My senses were fully satisfied at Project Rowhouse, on the other side of the tracks. 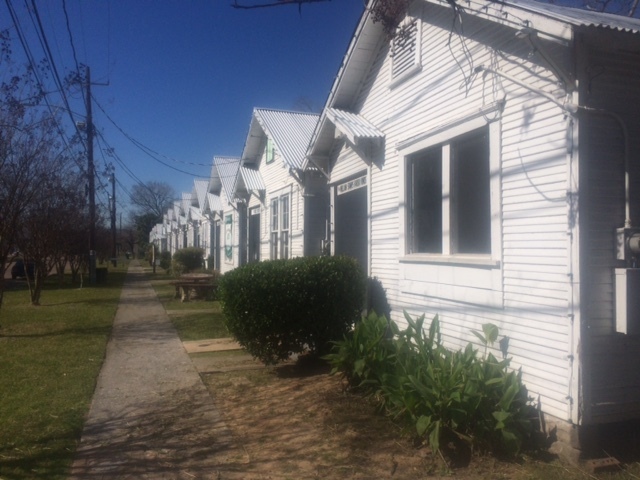 Rick Low purchased a block of shotgun houses in Houston’s Third Ward and turned each into a small gallery. He orchestrates two themed shows a year. Round 43 is now on display: Small Business/Big Change, Economic Perspectives from Artists and Artrepreneurs. The show includes five installations about the Black economic experiences and two pop-up stores, one with locally made soaps and herbs, the other baked treats by Ella Russell. The art at Project Rowhouse is not as refined; some is not that good. But what is good is very fresh. 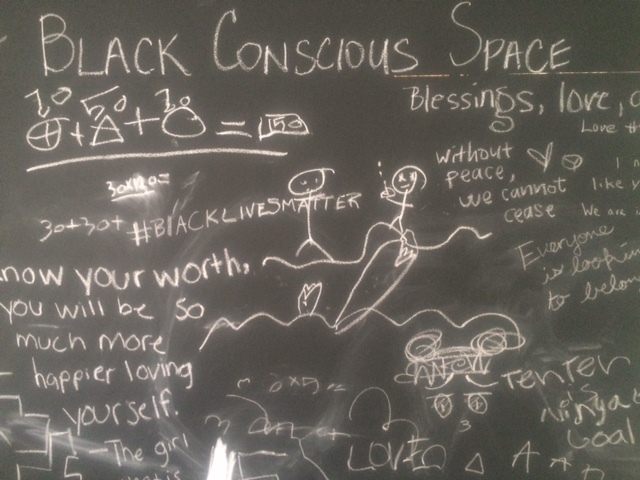 It was difficult for me to understand why Cy Twombly’s scribbles merit an entire building at the Menil while a comparable blackboard about Black experience will simply be erased when ‘Small Business/Big Change’ ends later this month. The contradictions of my day continued. A fascinating conversation with Megan Parks on her decision to leave BP after fifteen years due to the chasm between personal and corporate beliefs preceded an evening with Mike Finley, an independent oil and gas entrepreneur in his duplex loft overlooking the city who advocates fewer constraints on energy exploration and extraction. For a guy on a bike, some days I really get around. This entry was posted in Bicycle Trip Log and tagged Crumbville Texas, Cy Twombly, Ella Russell, Houston TX, Megan Parks, Menil Collection, Mike Finley, Project Rowhouse, Rice University, Rick Low, Rothko Chapel. Bookmark the permalink.